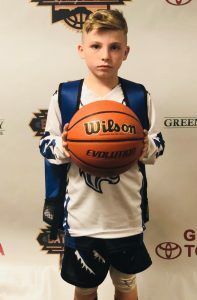 Nine-year-old Trae Grant may be a forthcoming major college prospect of the Illinois basketball pipeline in small town Fisher. Trae, a physically wiredrawn 4th grade point-guard, defends like a small forward and heavily scores like a centre. Strong, crafty, wiry Trigger has his academic game down pat as an A/B student-athlete. And young Grant’s sporting wishes are to compete for the University of Illinois and for the Chicago Bulls. He’s got next!